If you have been charged with an Extreme DUI in Phoenix, I strongly recommend that you consult with a DUI Defense Attorney. Extreme DUI Charges are the result of driving under the influence with a blood alcohol content (BAC) above .15 but less than .20. If convicted, under ARS 28-1382 a person will serve no less than 30 days in jail and, your license will be suspended, and you will be responsible for paying mandatory fines. Also, the IID (Ignition Interlock Device) will be installed on your vehicle on the date of your driving privilege reinstatement. Although popular belief is that your license will be suspended if you refuse the PBT that is not true. Many people confuse the PBT with the blood/breath test that is administered after a person has arrested for a DUI in Phoenix. You do have the right to refuse the field sobriety test (PBT) as it is only used by the police to obtain probable cause to arrest you and it is not admissible in court. Arizona’s Implied Consent (ARS-1321) law states that if you are arrested lawfully by an officer who has grounds to believe that you have been driving under the influence of drugs or alcohol, then you automatically consent to take a breath, urine or blood test to determine your blood alcohol content (BAC.) However, before you submit to the blood/breath test always ask for a confidential phone call with a DUI lawyer. The burden of proving a case rests in the hands of the police and the prosecutor. With that being said, "anything you say can and will be used against you in a court of law." If you are arrested for an Extreme DUI, and the police officer asks you if you have been drinking, you do not have to answer. As a matter of fact, I do not recommend it. Instead, you should immediately ask to speak to an attorney and invoke your Fifth Amendment Right which is the right to remain silent. 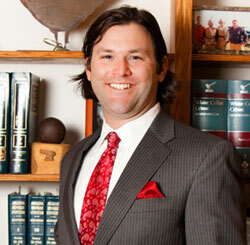 I specialize in DUI and Criminal Defense. When your freedom is at risk, experience in the courtroom matters and I will “Deliver Justice and Defend Your Freedom.” Good people sometimes find themselves in bad situations. To me, that does not mean that those caught in a bad situation are criminals or even guilty of a crime. If you have been charged with an Extreme DUI in Phoenix, contact Aaron Black or call to set up a free consultation today 480-729-1683.